still pending!!!!!. Who won ? please review and rate ----> #193. Thanks. Hi, please kindly check #176. Thanks. Check #175 please.. I believe you will like it. Hey, my entry is #161 and #173. I can work on the color options as per your choice. Thanks ! Hi, forbeats. Design #158 is a copy of the animated original (gif). I tried to upload the actual GIF, but the upload system on freelancer.com does not recognize .GIF extensions. In the actual GIF animation, the background is transparent so you can lay it over any background color on the website. Pls check #153 #154 and read my private message.Thank you. Please provide feedback for #145. Thank you. 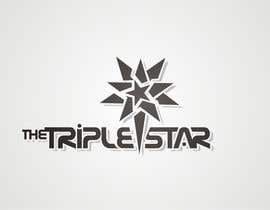 I see a lot of 3 stars, it doesn't necessarily have to be a star, maybe try something else, or even making a TTS logo of some sort with the triple star in text. Please provide feedback on #120 and #121. Thank you. Looks a little plain, but a step in the right direction. Dear CH please give your valuable feedback at #60. thanks. Hi! look please at number 5. The original font, memorable but simple sign. The logo will look great on t-shirts, caps and other attributes. The sign can be printed in two colors and one color. It is same look cool at the light and dark backgrounds. too Captain America Shield! but i like how its original! like the font on 42 but the stars either to go or be changed! Hope you guys dig our logo, we were thinking about turning the 'record' into more of a record with indents, but this seems to be more sleek and clean. Dear CH please rate the #36. thnx.